Driver error is one of the major contributors to vehicle crashes. It is not only the reckless disregard for the rules of the road through speeding and impaired driving that we need to be concerned about, but also other factors such as driver fatigue/ tiredness, distracted driving and our failure to remain focused behind the wheel! The road freight and transportation industry has identified effective nutrition as an important component in the ability of long-distance truck drivers to remain fit and alert behind the wheel! On the Arrive Alive website, we shared some info on nutrition and the importance of specific vitamins to ensure a healthy body and mind. It is however not only the professional drivers that might benefit from healthy eating, but everyone travelling on our roads. The healthier we are as drivers the better we are able to remain alert and respond to any emergency situation on the road and to avoid causing these emergencies ourselves! 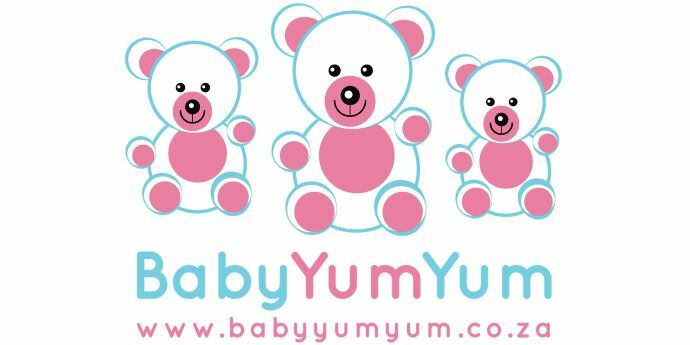 With this in mind, we decided to approach the experts from BabyYumYum and enquire which food choices may better equip us to be healthier and safer on the road! Would you agree that nutrition has an important role to play in the health and fitness of drivers? 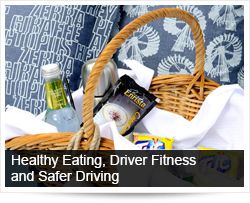 A person drives, whether or not the driver eats regularly scheduled meals, eats at home or in fast food restaurants, whether he/she has much opportunity to engage in physical exercise, and so on, all impact a driver’s state of health and wellness. 8 of the 10 the leading causes of death are related to what people eat. From heart disease to cancer, the food people eat has an influence on whether many chronic diseases develop. A healthy nutritious diet is among the most important influences on an individual’s health. Which food groups would be the best to take on the road? Five or more servings of fruits and vegetables are recommended for general health and wellbeing. Just as you'd pack an overnight bag with your must-have items from home, plan your road snack pack before you hit the highway. 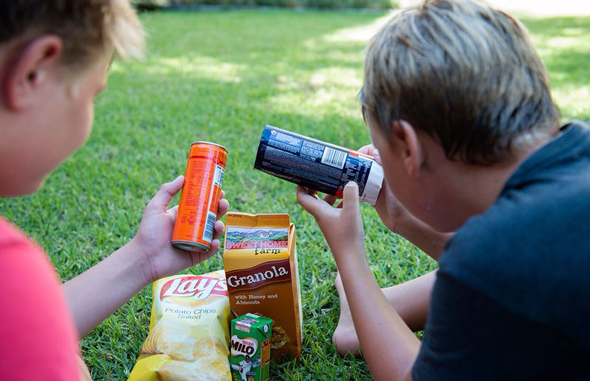 A small insulated cooler is a road trip must-have, as are small food storage containers or resealable baggies (the snack-sized kind are perfect for portion control) to keep finger foods ready to go. When it comes to snack selection, instead of those that add extra sodium and empty calories to your diet, choose ones that are a well-balanced mix of protein and good-for-you fats – a bottle of water and handful of nuts are ideal. The best snacks for a road trip are the kind that will keep you feeling full longer so you'll be less likely to reach for a bag of potato chips an hour down the road. You'll not only keep your energy up but your belt-size intact. When you're sitting for hours in the car, it's best to keep things light and crunchy, with carrot sticks, celery, other vegetables and cut-up fruit. Frozen grapes are great, and some chilled fruit juice or water. Simple, nourishing proteins are good too, like cheese sticks and grilled chicken, cut into bite-sized strips. What should you rather avoid on the long road trip? Avoid giving kids anything with lots of sugar, especially late at night. Filling up with too much liquid will cause constant calls for bathroom breaks. Avoid junk food, salty snacks and sweets. They are all packed with salt and sugar which retain water in your body. You already restrict your body's freedom to move. Don't make it worse. Try to avoid bringing along too many fizzy drinks or other sugary or caffeinated beverages. Drinks that are high in sugar and caffeine will cause bloating, dehydration and sleepiness on the road as the sugar and caffeine wear off. In addition, hot foods and beverages can be dropped and burn you. 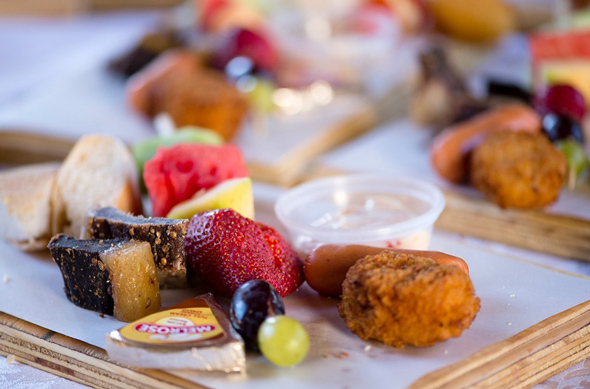 How would your choice of food impact on driver fatigue, mental alertness and concentration? Food is the fuel that regulates your energy and mood, both of which can significantly affect your focus. Just as you shouldn’t put olive oil into your car to make it run, you shouldn’t put fizzy drinks into your body to make you go. Food has the ability to affect your mental clarity, mood, memory, and ability to focus. Fatty and sugary foods contribute to fatigue, and there are some foods that can boost energy and alertness. Studies show that some berries, such as blueberries, boost concentration and memory for up to five hours because the antioxidants in blueberries stimulate the flow of blood and oxygen to the brain – and keep the mind fresh. If you want to improve your focus, you need to drink enough water. Water gives the brain the electrical energy for all brain functions, including thought and memory processes, and it has been proven to help you think faster, be more focused, and experience greater clarity and creativity. Every single function of your body depends on water, so it is critically important that you get enough of it. Does size matter – is it better to take smaller snacks than having a large meal? While many nutrition experts agree that when it comes to weight loss, irregular eating patterns and skipped meals can mean trouble for most of us, there isn't anything close to a consensus on whether we are metabolically better off eating three regular meals a day or spreading that out into five or six smaller meals. But as far as road trips are concerned, people have a tendency to choose junk foods to snack on, which can cause discomfort and can be a diet disaster. As a general rule, smaller snacks are better than big meals – if the snacks are healthy options. Are there specific ingredients that we might be able to spot on the food label that may alert us to special/ increased risks? What would these typical warnings be? High sodium listed on a label is the first warning sign to look out for. While some sodium is fine, too much will cause bloating which is extremely uncomfortable while driving on the road for long periods of time. Also, high sodium foods will dehydrate you, especially when driving during a hot part of the country. When shopping for the food for your road trip, be sure to keep an eye on the “sugars” and “carbohydrates” listings. The lower these are, the better. If you are to stop at a rest stop and eat from the menu…what do you need to remain alert to? All the same warning signs apply, but they are not marked in restaurants like they are on food labels. Watch out for fried and fatty foods, and stay away from dessert. There are several myths on how to fight driver fatigue - do you believe that we need to be cautious of food and drink as tools to fight driver fatigue? 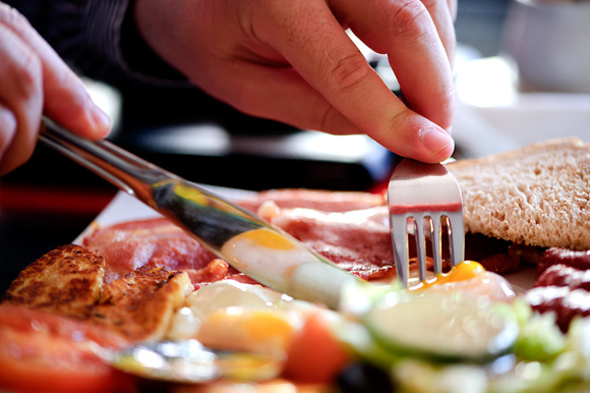 Many drivers have developed poor eating habits, often consuming fatty foods. Eating fruit and healthy snacks will automatically make you more alert – whether you are driving or at the office. However, driver fatigue is caused by a combination of factors, and the food is only one of the things to take into consideration when trying to combat its effects. Personalise your eating style: The easiest way to get the nutrients your body needs is to eat healthy foods you enjoy. Finding good-for-you foods that please your palette makes eating healthfully special and exciting. Eat for your lifestyle: Athletic, vegetarian/vegan, corporate and family lifestyles all have special nutritional needs, but eating right can be easy and tasty with attention to those foods that best help get you through the day. Keep health concerns in mind: A healthful eating plan can help prevent and treat a variety of health concerns. With modification and moderation, you can still enjoy many of your favourite foods while meeting your nutritional needs and health goals.